GARRISON, NY--(Marketwire - October 27, 2009) - According to a recent New York Times article, there is a growing concern over the drug industry playing a prevalent role in the required continuing medical education (CME) of physicians. Pharmaceutical companies paid about half of the cost of these CME programs for doctors who sought to maintain their certification and then, in turn, infused the lessons with drug marketing messages. Aurora Information Technology, a medical marketing and medical website design company based in Garrison, New York, believes that while it is hard to avoid such a cleverly disguised drug-company sponsored "education," it is not impossible with the right tools and the right system of checks and balances. According to the article, the Accreditation Council for Continuing Medical Education (ACCME) will publicize a confidential listing of classes and companies that violated the rules against "commercial bias." Eliminating pharmaceutical marketing messages in these courses will drastically reduce rampant and expensive prescribing practices. It was estimated that this reduction alone would save the government $900 billion over the next decade. It will also greatly impact the medical industry by regaining their patients' trust to uphold their standards without any influence from the big drug companies. 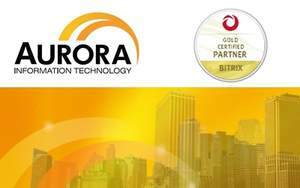 As Certified Gold Partners of Bitrix, developers of Bitrix Site Manager content management systems (CMS) and intranet portal solutions, Aurora IT offers its medical and healthcare clients an online e-Learning module for testing and re-certifying physicians. To stay ahead of this swirling debate, Aurora IT will work with governing agencies to create fully accredited e-learning modules. And while pharmaceutical giants like Pfizer and GlaxoSmithKline are no longer financing medical education companies, Aurora IT believes that the recertification process can still be more proactive. In developing the courses, Aurora will employ a third-party reviewer to ensure the content is devoid of industry bias from the pharmaceutical companies. With the help of ACCME-accredited providers that provide content, Aurora creates educationally rich web pages with illustrations and animations in a secure online portal. A simple registration and systems check process initiates the course, separated into chapters, with a test area at the end of the course. Doctors are able to login easily to take a course, verify their knowledge by passing tests and take a final exam. The testing section provides users with questions and only gives their score at the end of the session. Doctors can view their completed course progress, test scores and test attempts in the Bitrix Training Module, and are given the option to download their certificates upon successful completion. Experts in medical website design, medical website marketing, and content management system programming, Aurora's designers incorporate multimedia into the course outline, and ensure their proper function. These designers also link streaming videos into the course that enable doctors to accurately visualize a process or procedure. To further streamline the process, online credit card acceptance can easily be enabled for easy course enrollment. Tests can be conducted according to the provider's preference, either via mail for grading and certification or electronically via an online portal for instant grading and CME credit certification. Together with their extensive Bitrix offerings, Aurora creates cost-effective, state-of-the-art CME modules that enable doctors and healthcare providers to stay ahead in the industry and keep current with regulations and ethical guidelines. Aurora's e-learning modules accommodate up-to-date medical technologies with 24-hour worldwide access to CME courses. Providers can be confident that their Bitrix online courses designed by Aurora will uphold the standards of ACCME, providing a win-win situation in flexibility and compliance. Aurora Information Technology, Inc. specializes in medical website design and Internet marketing solutions for doctors, surgeons, hospitals, and medical device companies globally. The company provides a wide range of medical website development, software programming, public relations, and online publishing solutions aimed at maximizing value, increasing productivity, and reducing costs.